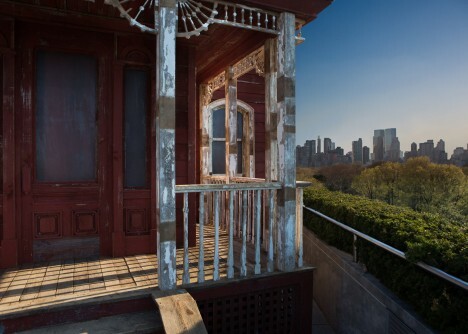 Set against the New York City skyline, the house from Alfred Hitchcock’s Psycho has never looked more out of place, elevated high above the treetops on the roof of the Metropolitan Museum of Art. 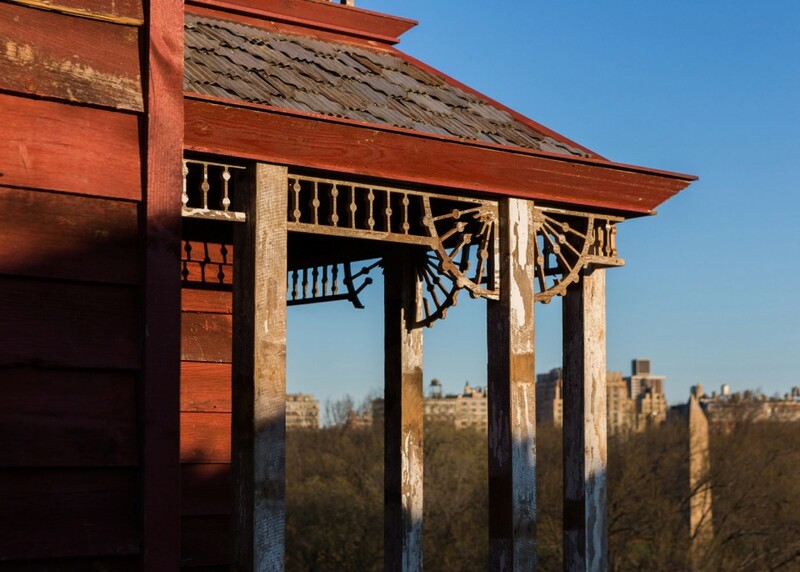 British artist Cornelia Parker faithfully recreated the home from the 1960 horror classic as a summer addition to the Met’s rooftop garden, using wood and steel roofing reclaimed from a rural barn to give it that authentic dilapidated feel. The ‘PsychoBarn’ exhibit opened this week and will be in place through October 31st. 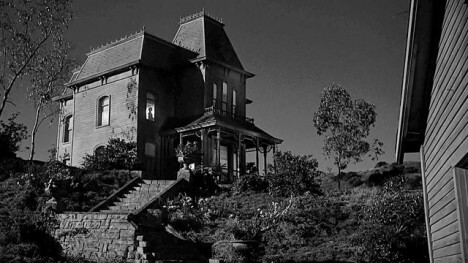 The artist took inspiration not just from the film, but also from the paintings of famed American artist Edward Hopper, whose ‘House By the Railroad’ is thought to have inspired Hitchcock’s vision for the Psycho house. 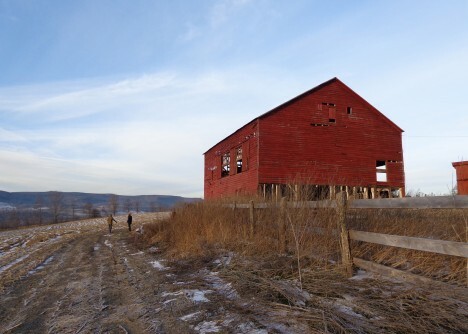 Contrasting the charm of rural landscapes and vernacular architecture with one of the most modernized cities in America, Parker chose to keep the house a mere facade rather than fleshing it out in additional detail. 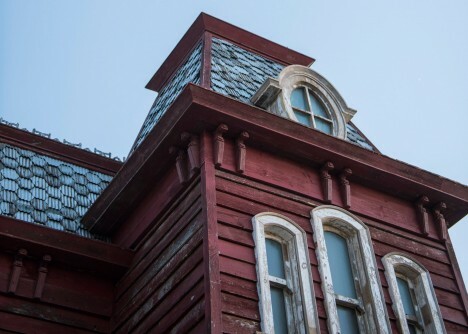 The original Bates mansion still stands on the Universal Studios Hollywood backlot, but it has been expanded, renovated and rebuilt several times over since its original construction. There’s also a replica in Florida, and another in Nevada. 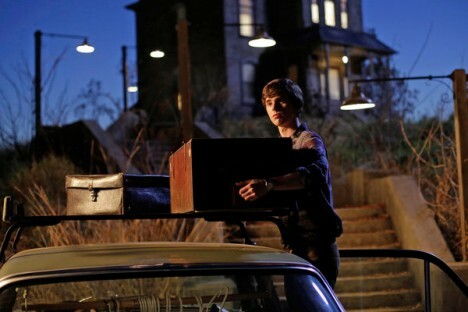 The A&E television series ’Bates Motel’ that’s currently in its fourth season films in British Columbia, where there’s yet another version of the original set – also just a facade.